A. Depending on your vehicle's needs, we offer a variety of packages. Check out our prices here. Q. How often should I have my car detailed? A. Detailing frequency is generally determined by (1) the climate, (2) your car's exterior color, and (3) how often you wash the vehicle. We also recommend that you have your car detailed a minimum of 3 times per year for adequate maintenance. Some darker colored cars should be detailed more often. Q. I own a brand new car and its perfect. Why would I need it detailed? A. Car dealerships rarely wax new cars or specially treat and protect leather interior. Performing both of these procedures is important in steering your new vehicle in the right direction. That is why 5th Gear Detailing is the very first stop for many of our customer's new cars. Q. 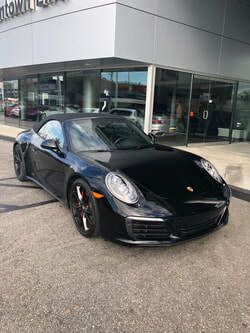 My car is leased, should I have it detailed? A. Definitely, the better your car's appearance and condition, the better trade value you will get on your car, and the less they will charge you for reconditioning the car. Q. What if it rains on my appointment day? A. We can reschedule you. Q. How long does it take to get an appointment? A. Often times we can do same day service. Q. Why should I get my car wash and waxed the day after a rainy day? A. 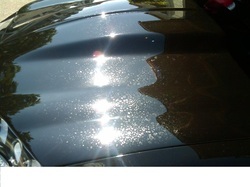 If you do not get it wash and waxed quickly, over time the acid rain will create water spots all over your car. Making it look bad and making them difficult to remove. Q. Is there a discount for referrals? A. Yes. You will receive 20% off your NEXT wash for each person you successfully refer. Q. How long have you been detailing cars? A. I have been detailing cars all my life. I have a passion for clean cars so when I was younger I used to wash my family's and friends cars. I started my own detailing business in 2010 and have washed 100's of cars since then. Q. What's the nicest car you have ever detailed? A. The car I am currently cleaning is, in my opinion, the nicest car. Q. Is there a discount for first time customers? A. Yes you will receive 10% off any service you purchase. Q. What type of equipment or chemicals do you use? A. I buy all my auto detailing equipment and chemicals from top end retailers that sell exclusively to auto detialers. My favorite location is Chemical Guys. One wax I use from there is called E-zyme Natural Paste. Just 9oz of the wax cost $300 but it's worth it. Q. What do I need to provide to do a wash at your house? A. All I need a is a parking spot for your car with access to an electric outlet and water outlet (no hose required). I'll take care of the rest. Q. Can I drop my car off at your place and have you wash it there. A. Yes, many of my customers live in apartments and do not have space to wash a car. We can arrange for you to drop your car off and have it washed at my location. This is a car with rain spots . We could fix them .For an additonaly $20 charge to your detailing package.